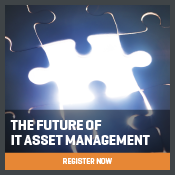 Many companies end up paying too much for the assets they consume because they lack an understanding of IT Asset Management (ITAM). With the increasing pressure on IT Managers to provide insight into their organization’s technology spend, to support business priorities and digital transformation projects, a robust ITAM function is critical. 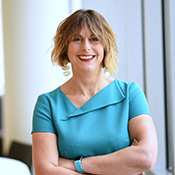 For the ultimate step by step guidance and best practice advice, don’t miss our exclusive webinar series from ITAM expert Victoria Barber. Your journey to a future-proof ITAM capability, that is tailored to your organization and goals, starts here. Find out why you need ITAM, what good ITAM really looks like and get advice on how to put in place the governance, processes and people necessary to build an effective ITAM function. 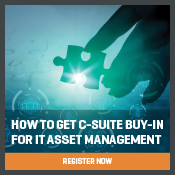 Get step by step advice on how to build a business case for Software Asset Management, how to demonstrate return on investment and engage critical stakeholders to gain executive support. 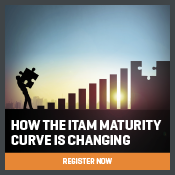 Understand how ITAM is changing in the new digital world to provide you with the business intelligence you need to become the trusted advisor to your business and stay relevant. 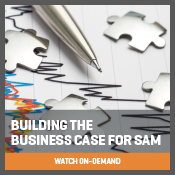 Learn how your SAM team can meet the increasing demands for a better understanding if digital technology consumption and apply SAM principles to other technologies. Identify how your SAM team can support the entire organization by applying SAM principles across all technology. Victoria Barber was a Gartner analyst for eight years, helping organizations around the world achieve their SAM and ITAM goals by adopting best practices, creating effective teams and setting realistic priorities. 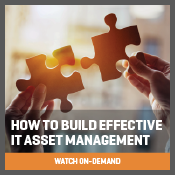 Join her webinar series to hear first-hand how you can realize the full benefits of implementing effective IT Asset Management and how you can build governance, teams and capabilities to support your business goals. The biggest benefit of Snow is the reporting. I’m able to be certain about the information I give to senior managers and we can make detailed business decisions based on that. Insight and the Snow SAM solution have provided Canon with clarity on our license compliance situation, we now have an excellent position in terms of both our software and hardware asset management. In the space of a year using Snow, we’ve gained valuable data on how software is used throughout the Group, and been able to use those findings to inform key decisions, including where costs can be saved through license reharvesting. Want to know how Snow can optimize software licenses across mobile, desktop, datacenter & cloud platforms? Speak to a SAM expert today. Experience first-hand what it's like to use the world's most popular SAM platform to optimize software licenses from all major publishers.